Royce Leather - Royce Slim Id Credit Card Wallet in Genuine Leathe Handy compact 2 window-view Genuine Leather Id and pass case features turned edge detailing and room for credit cards license and registration. Kipling - New Money Wallet A lightweight nylon wallet from Kipling that's on the money-pair it with your favorite Kipling purse or use it on its own! FOSSIL - Logan Small Printed Bifold Wallet A colorful print spices up the organized Fossil Logan Small Bifold Wallet. The Sak - Iris Card Leather Wallet An ideal style for those who like to travel light. 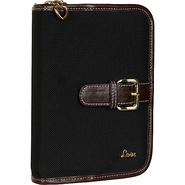 This handy card case wallet from The Sak fits your cash cards keys and Id. INC International - I.n.c. Blakke Wallet, Created for Macy's A chic woven exterior covers the I.n.c. International Concepts Blakke Wallet for a stylish take on everyday organization. FOSSIL - Rfid Logan Bifold Leather Wallet An ideal look for the life of the party. The Rfid Logan Bifold Wallet keeps you organized no matter what fete you're attending. FOSSIL - Logan Small Leather Bifold Wallet Keep it chic with the easygoing Fossil Logan Small Bifold Black Wallet featuring a leather exterior and Old English brass-tone hardware.
. - A subtle print adds just enough character and charm to the organized Arcardia Trifold Wallet by Sakroots. Giani Bernini - Softy Leather Trifold Wallet, Created for Macy's Rich pebble leather details Giani Bernini's palm-sized wallet featuring ample card slots and pockets for financials in a compact trifold design. FOSSIL - Logan Bifold Leather & Suede Striped Wallet Neutral stripes give casual-cool style to the Fossil Logan Bifold Striped Wallet. Guess - Kamryn Large Zip-Around Wallet Decorated with a bold metallic logo detail this ultra-functional Guess wallet features a bonus detachable strap to double as a chic wristlet.
. - Sydney Wallet A store-everything wallet for larger bags or carry it solo with the cross body strap. This remarkable tri-fold wallet even contains a checkbook section along with all the other compartment goodies. 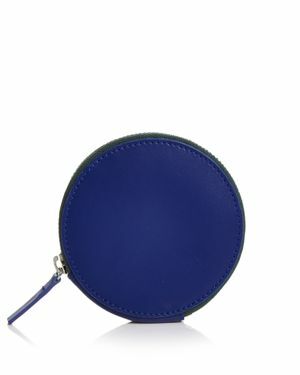 FOSSIL - Emma Rfid Leather Bifold Mini Wallet Grab Fossil's compact wallet for stylish organization on-the-go that fits in your hand and closes with a satisfying snap. Even better this bifold wallet features built-in Rfid protection against electronic pickpocketing . Giani Bernini - Logo Embossed Index Wallet, Created for Macy's Keep your necessities in check with the travel-ready Giani Bernini Logo Embossed Wallet. Guess - An organized silhouette gets a chic designer upgrade with a logo-detailed plaque on the Guess Rodeo Zip Around Wallet. Giani Bernini - Softy Leather Index Wallet, Created for Macy's Go on take everything: the interior of this soft waxy pebbled leather indexer from Giani Bernini offers 9 card slots among its helpful features. FOSSIL - Shelby Mini Leather Multifunction Wallet Subtle color blocking gives the Fossil Shelby Mini Multifunction Wallet a beautifully understated look ideal for every day.